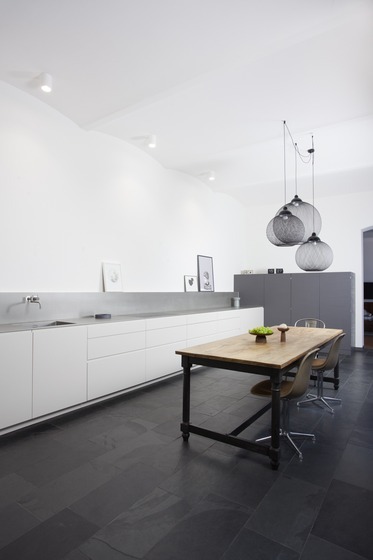 The kitchen is the center of a refurbished coach house in Berlin-Friedrichshain inhabited by two graphic designers and their child. 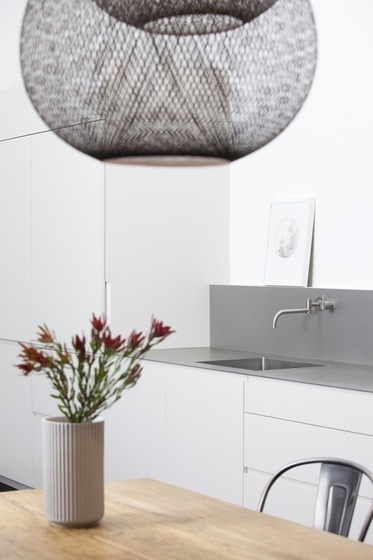 The apartment is entered by way of a garden courtyard through the kitchen, which connects to the hallway and living room. The space is not only used for cooking and dining, but also for playing, working, and painting. After suffering water damage, the open-plan kitchen received a complete make-over. Our goal was to keep the space in its expanse and refined rural characteristics but provide more homelike qualities. The main feature of the room is the big dining table and an eclectic collection of vintage chairs that give variation to the straight lines of the built-in furniture, all framed by artworks made by the owners. All technical kitchen elements were visually hidden away. 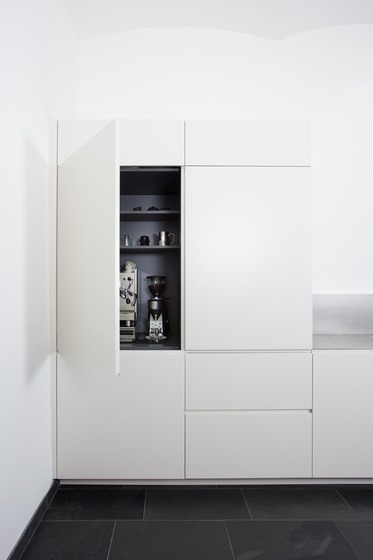 The beloved coffee maker together with accessories is tucked away in its own cabinet, the oven is hidden behind a door and the stove has no handles but is operated by a remote control. 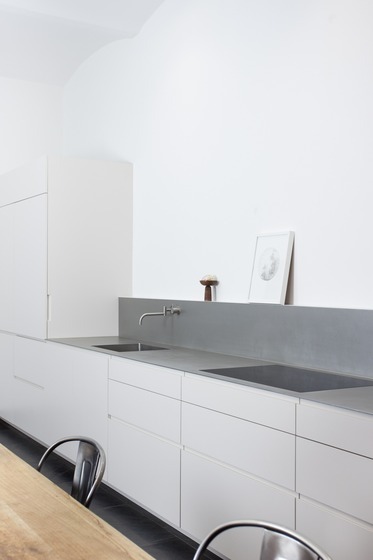 The off-white handle-less fronts are reminiscent of a sideboard than kitchen cabinets, contrasted by a dark-colored cabinet for painting utensils and storage. 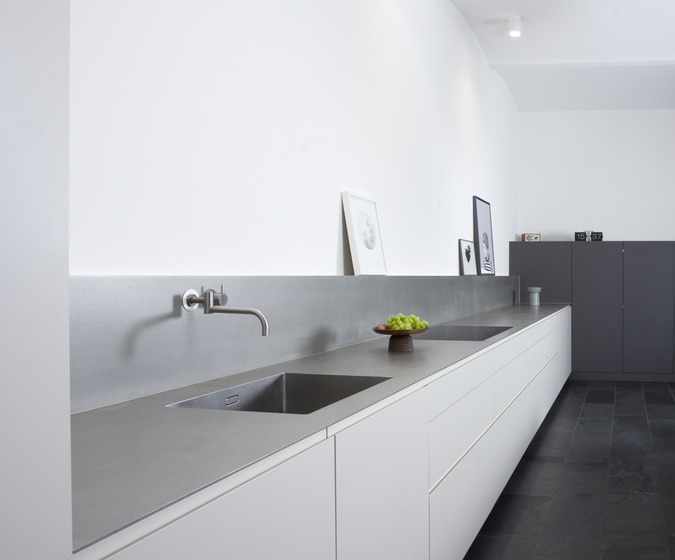 The stainless steel countertop is crafted out of a six-meter-long single piece of steel with Silver Touch surface and an integrated sink.